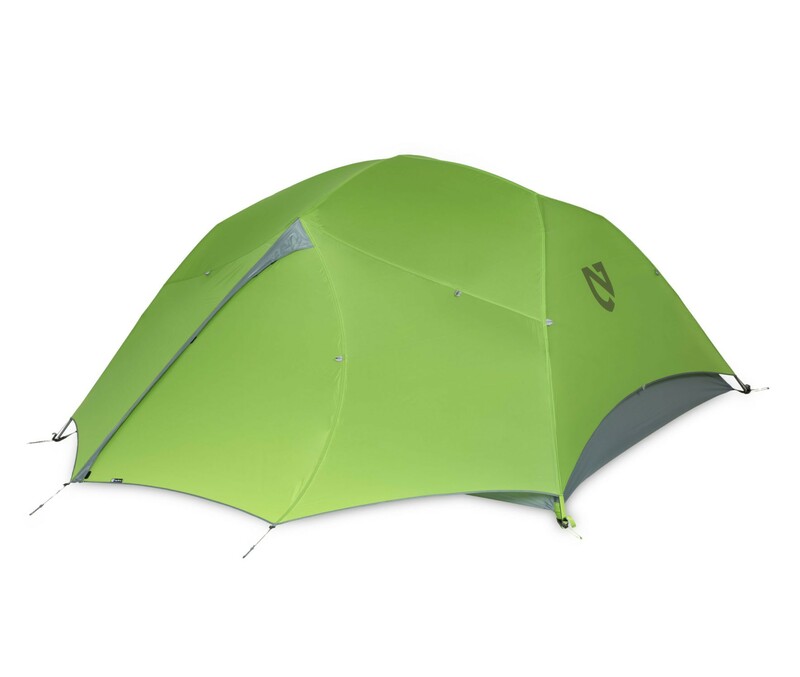 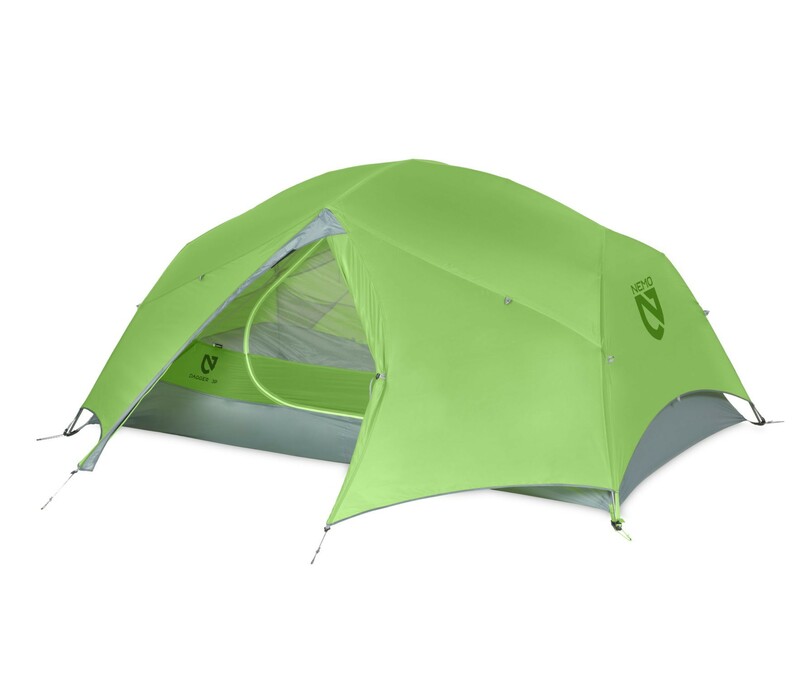 Nemo Dagger 3P Ultralight roomy backpacking tent. 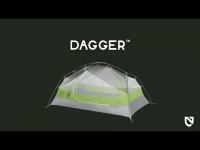 Dagger 3P Ultralight roomy backpacking tent. 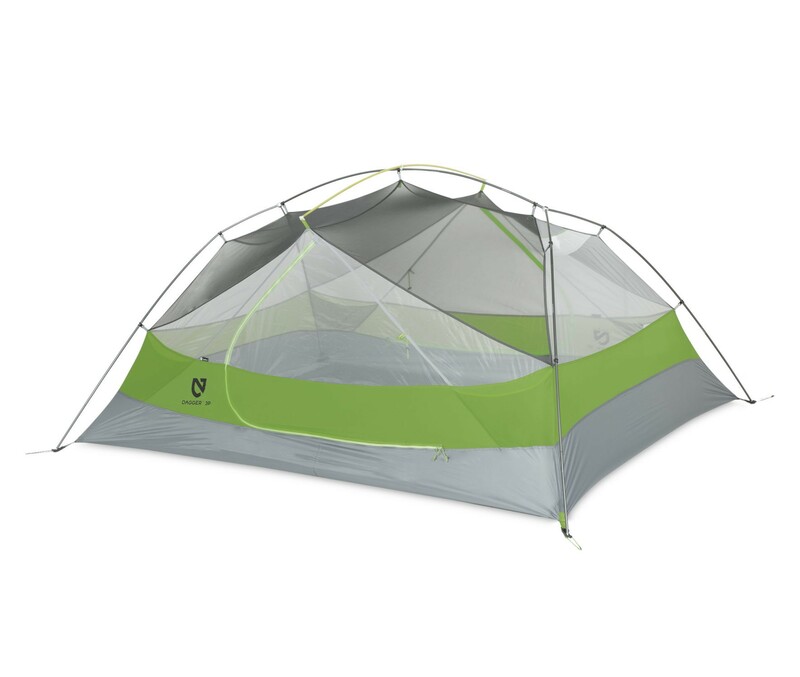 Serves every kind of adventure from roomy backpacking, to cozy camping, and everything in between. 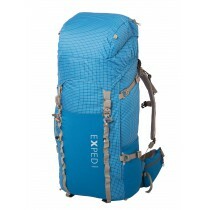 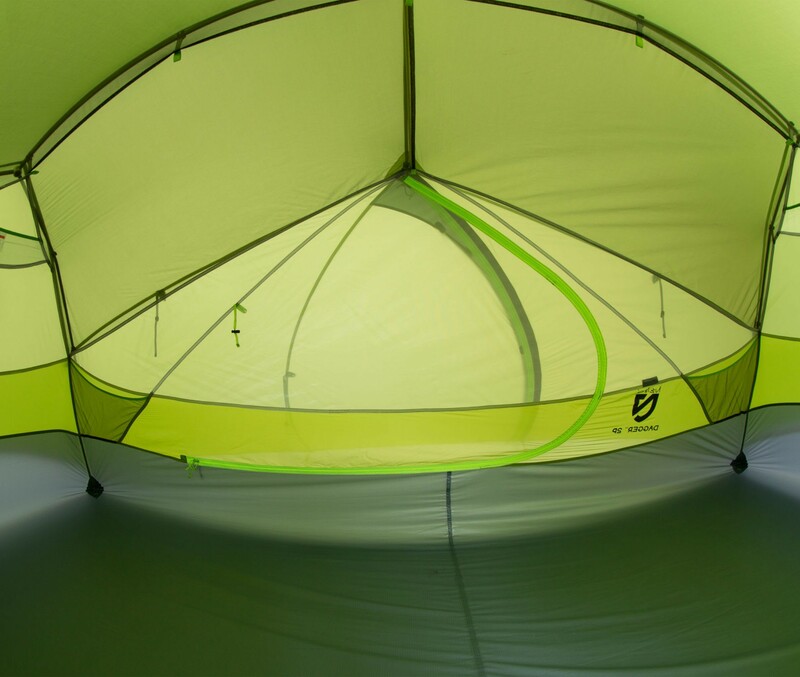 Trapezoidal vestibules offer the most area and volume for storing gear or putting your boots on in the morning. 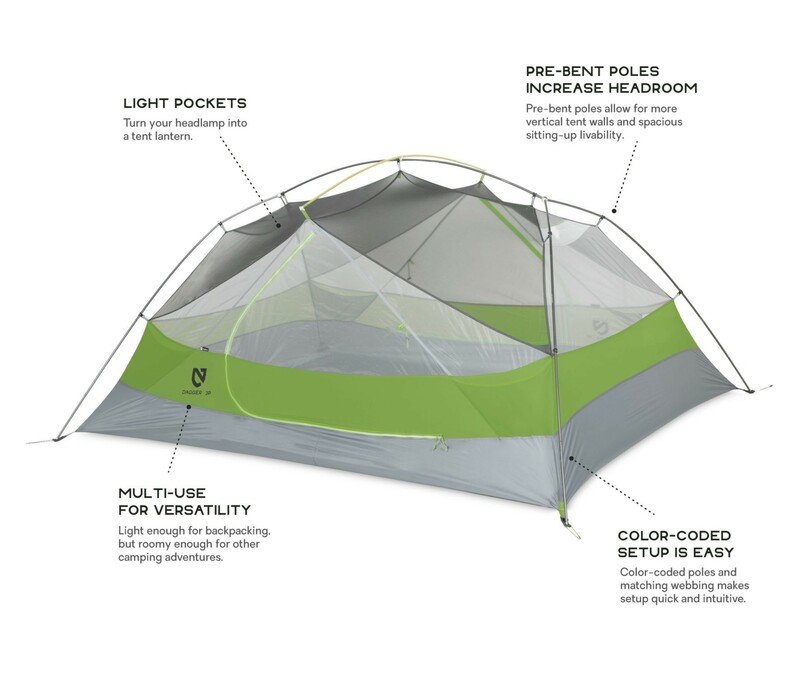 The high position of the hubs in the Dagger pole frame produce more livable space inside than other tents in the category. 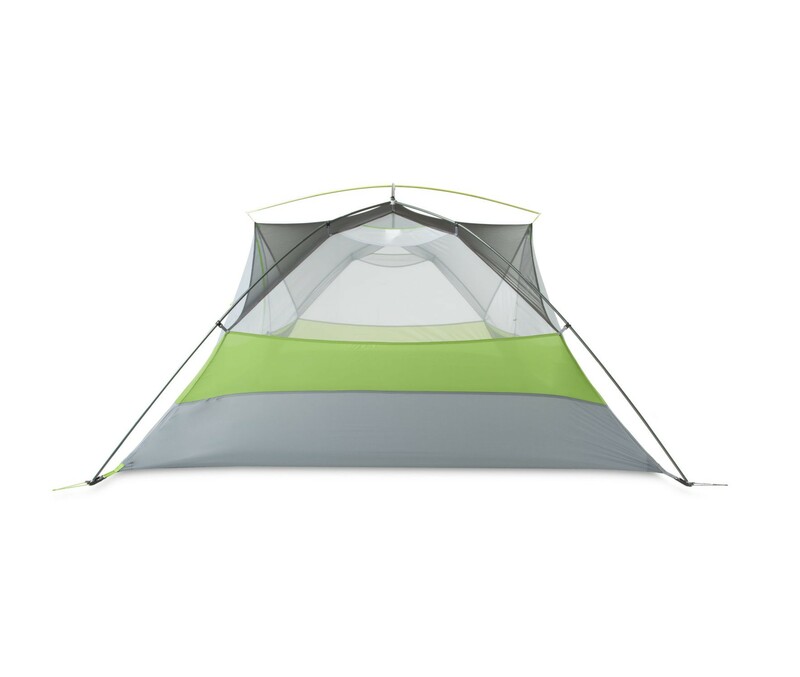 Simple setup with a single hubbed pole. 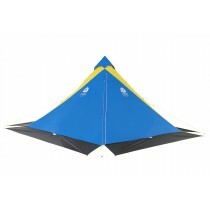 The DAC Jake’s Foot corner anchor system makes setup fast and easy. 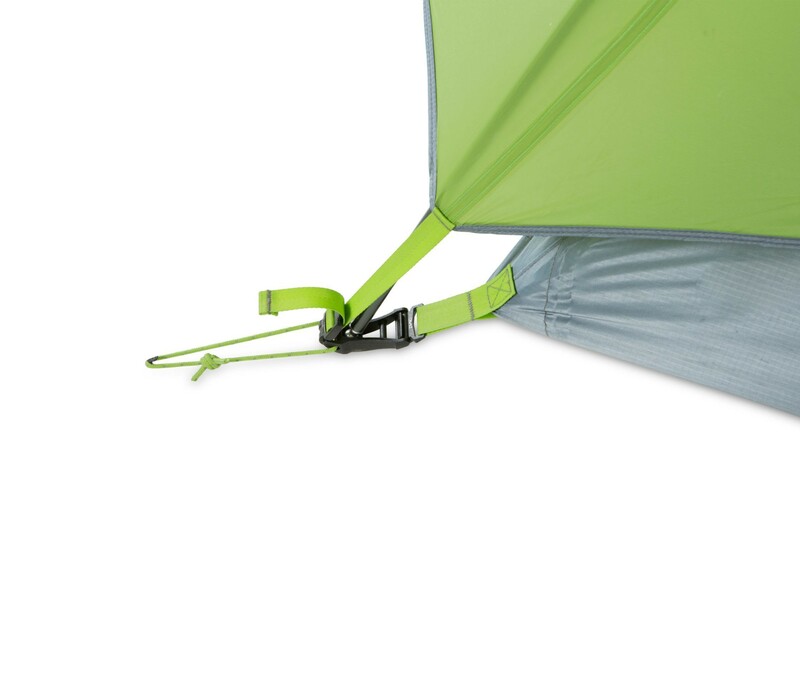 The Jake’s Feet also improve fabric tension by acting as cantilevers to pull the corners of the inner tent closer to the ground. 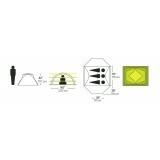 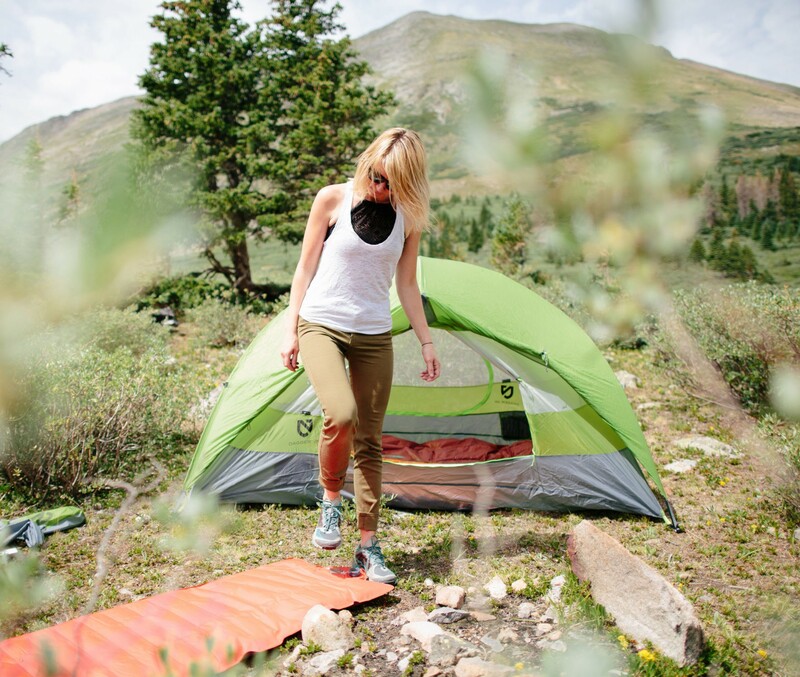 An integrated light pocket diffuses light from your headlamp to cast an even glow throughout the tent.